Posted on: December 4th, 2018	by Jennifer A. This post about a Sahara Sams Annual Pass was sponsored by Sahara Sam’s Oasis Indoor and Outdoor Water Park. 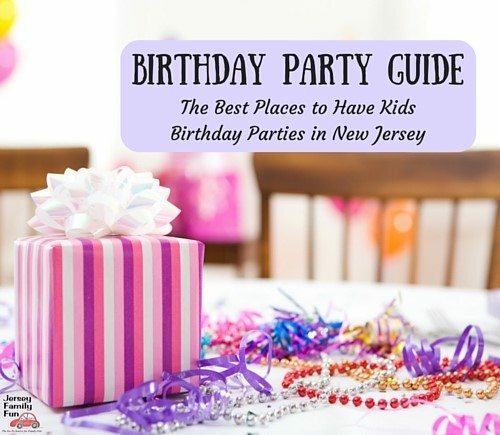 We appreciate their support of Jersey Family Fun that allows us to share with families information about things to do in Southern New Jersey and giftable experiences in New Jersey that we think your family may enjoy. What’s the best way to experience summer yearround? Give the kids a gift of a Sahara Sams Annual Pass to Sahara Sam’s Oasis Indoor and Outdoor Water Park in West Berlin New Jersey. With so many indoor and outdoor waterpark areas to explore your kids are going to love this Southern New Jersey family attraction. With an annual pass to Sahara Sam’s Oasis Indoor and Outdoor Water Park, kids can get a taste of summer every day that they are open. Keep reading and then enter for a chance to win 4 tickets to Sahara Sam’s Oasis Indoor and Outdoor Water Park. Sahara Sam’s Oasis Indoor and Outdoor Water Park of West Berlin, New Jersey was founded in March of 2009. The facility offers families of the greater Tri-State community affordable, high value entertainment the entire year with 60 of its 70-thousand square feet under a retractable roof system. Park features include arcade systems, surfing simulators, a wave pool, leisure swim areas, numerous water attractions, slides, and more. Want to learn more about Sahara Sam’s Oasis Indoor & Outdoor Water Park, check out our articles here. Discover all Sahara Sam’s Oasis Indoor and Outdoor Water Park offers to swim, splash, and play. Flow Rider brings the thrills! Learn about the indoor water park areas by clicking over to this article, 5 Sahara Sam’s Indoor Play Areas to Discover with Your Kids. Find out more about Sahara Sam’s Oasis Indoor and Outdoor Water Park latest expansion by clicking to read this article, Your Inside Look at Sahara Sam’s Mirage & Waterpark. See what kind of fun events Sahara Sam’s has planned with a look at this article, Sahara Sam’s Oasis Upcoming Events. Find out why Sahara Sam’s is fun for preschoolers too in this article, Sahara Sam’s Indoor Water Park, Great Fun for Little Kids too! Join us on a video tour of Sahara Sam’s by watching our video below. With so many areas to have a splashtastic time at Sahara Sam’s Oasis Indoor and Outdoor Water Park, you’ll want to take the kids or grandkids over and over again. One of the best ways to do that is with a Sahara Sam’s Oasis Indoor and Outdoor Water Park Annual Pass. For less than the price of 2 visits, you can have a Sahara Sams Annual Pass. There are so many more places to swim, splash, and play that you are going to want to visit this indoor waterpark over and over again all winter long and the outdoor waterpark all summer long. It’s a great place to spend a rainy day or cure a case of “cabin fever” during the long cold winter. Buying an annual pass is a great way to ensure you can enjoy this New Jersey waterpark as much as you want. Stay for an hour one day or several hours. Members receive 10% Off Food and Beverage, 10% Off Merchandise, birthday party discounts, access to special events and are the first to know about special offers. BONUS Sahara Sam’s is open daily during the holiday break, except Christmas. Did you know that right now the Sahara Sam’s Oasis Indoor and Outdoor Water Park is offering a discount on the Sahara Sams Annual Pass? To learn more about Sahara Sams Annual Pass visit their site here. The BEST Value, Unlimited Visits for 2018 & All of 2019 Use promo code SPBUY3 to buy three or more season passes at $41.99 each, individual price $44.99. This is a promotional price, regular price is $84.99. Buy your Sahara Sams Annual Pass with this link. Sahara Sam’s Oasis Indoor and Outdoor Water Park is located at 535 North Route 73 in West Berlin, NJ. You can check out their website for more information, hours, and directions. Ready to win 4 tickets to Sahara Sam’s Oasis Indoor and Outdoor Water Park? Sahara Sam’s Oasis Indoor and Outdoor Water Park is in West Berlin, New Jersey. We will pick 1 winner. The winner will receive 4 tickets to visit Sahara Sam’s Oasis Indoor and Outdoor Water Park. The tickets are ONLY good for one visit. This giveaway will end Tuesday, December 11, 2018 at midnight. The winner will be announced shortly after that. Make sure you have left us your email address. You will have 24 hours to claim your tickets by emailing us back your name to Melanie. All prizes not claimed will either remain with the company sponsor or Jersey Family Fun to be used at a later date. We will make every effort to get the tickets to you by Christmas, but we can not make any guarantees. would love to win tickets because my children love the fact that it’s always warm and sunny in there. We love Sahara Sam. I would love to take my kid again for some water fun rides. It would be a best place to visit this holidays with my family. My daughter would love to ride the Flow Rider. She loves to ride the waves at Wildwood. My kids really enjoy playing in the water! We had such an amazing time when we last went. They would love to go again! My sons love water parks, this would be great for them. This place is so much fun for kids! It would be so nice to take the kids to a water park in the winter. It would be so much fun. My kids love it there!! So fun! Would love to experience this with my daughter! My boys love it here! My daughter loves anything to do with water and my son loves water slides. It’s been years since we’ve been there even though we live so close. It would be awesome to win! My sons would love this, they love water parks. Have never been there…BUT, I would love to celebrate my granddaughter’s 8th birthday at Sahara Sam’s. We actually have season passes but my daughter always wants a friend to go. We have tried to get some of her friends parents to buy passes but they do not want to because the child has not been there. These would be great for my daughter to be able to bring a friend so then maybe we can get a friend or 2 to get passes to go with her. Water slides will my family squeal! My kids love the water and these would great to use during the winter. They would have so much fun. My kids love water parks! Never been but our family would love to go! My kids have been asking to go for the longest time! They would love it! My kids been asking for over a year to visit, but I just don’t have the extra money right now. This would be nice for winter break. We love Sahara Sam, due to one of my cars being on its last leg, we will probably have to catch the train, but that’s ok because my daughter love to ride in the caboose! I travel anyway to get to Sahara Sams! l would love to win these to take my kids! My son has been begging to go back because he’s finally old enough for the FlowRider! Indoor wAter fun what could be better! My girls and myself had a rough few months fun water and time away from our house would be fantastic! Thanks for the chance to win! Sahara Sams would be a great way for my family to spend the Christmas break! We love pools, water slides and fun year round! Thanks! One son loves the water park and the other loves the arcade!